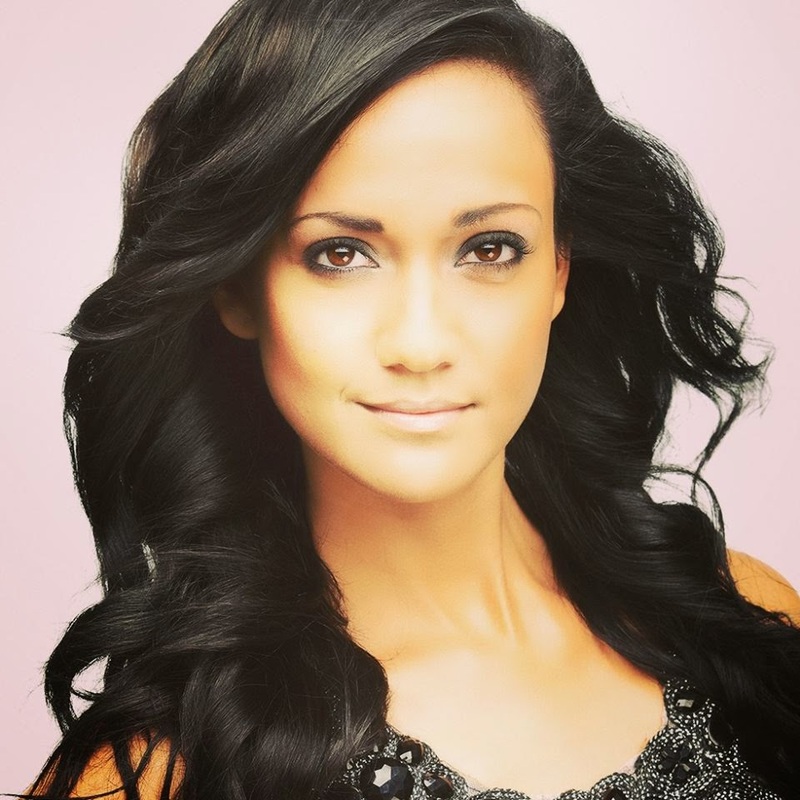 SHOULD be Miss South Africa 2014! The real judges (DJ Black Coffee, Anele Mdoda, and Pnina Fenster) did a MAGNIFICENT job. They sifted through thousands of entrants and came up with one of the strongest top 12's we've seen in a long time. I think there is something special and unique about every single girl that is left in the competition. It is going to be a tough call to make. DJ Black Coffee had to resign as a judge after it was discovered that finalist Tidimalo Sehlako is actually his (half)sister-in-law. He was replaced by three new judges: South African IT girl and television personality, Bonang Matheba, magazine editor Kojo Baffoe, and the lovely Miss South Africa 1992, Amy Kleinhans-Curd. I can only hope that the judges make the right decision. South Africa can win an international crown but it's crucial that they get it right. I sincerely hope they choose the best girl for the job! Good luck, judges! I really like Abigail and I've seen tremendous growth in her throughout this competition. 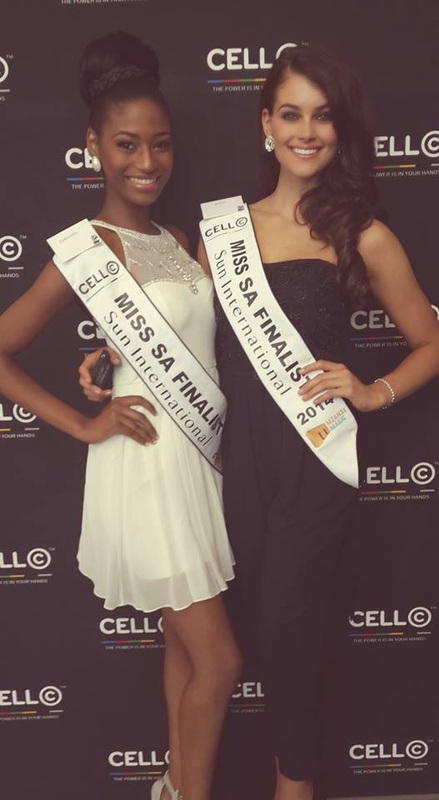 She is the youngest of this year's batch and it's common knowledge that the Miss SA judges tend to favor a girl that has more life experience. The reason being that Miss SA needs to sacrifice a whole year of her life to work for the organization. Since 1990 only 3 girls (1994 -20, 1998 - 20, 2000 - 19) who were younger than 21 at the time managed to win the title. I would encourage Abigail to take what she's gained from this experienced, wait 3 or 4 years, and then come back and she'll be ready to fight for the top 3! Tidimalo has an absolutely gorgeous face and a vivacious personality. The major reason why I'm placing her so low is that she is really short. That is a big problem because it's common knowledge that taller girls fare better in international pageants like Miss Universe and Miss World. I also think the DJ Black Coffee issue might have cost her a few points. But I totally think she deserves her spot in the top 12. Had she made it to the top 12 last year, she could have been in the running for a top 5 spot. She photographs extremely well and she is a really attractive girl. This year the competition is just really strong. I love Jade's personality. She's so intelligent and well-spoken. Many people have commented on the fact that she resembles Melinda Bam. Personally I don't really see it but if that's really the case (and I'm just not seeing it for some reason), then it probably won't work in her favor. She can come back in 2 or 3 years and give it another shot. I wouldn't be surprised to see her advance to the top 5, though. She is beautiful and intelligent and it seems like the judges really like her. I just have too many other favorites this year. I have a soft spot for this girl. She seems so sweet and sincere in all the videos and I totally love this photo of her. I love her delicate features. She's a true African beauty and I think she could do very well as a print model. The competition is just so strong this year. If there's a Miss Photogenic award, Mishka should get it. The camera just loves her. She's tall, elegant, and really good-looking. I want to see her back in 2 years from now when she'll definitely have gained enough experience to fight for the crown. Caylene is a pageant pro. 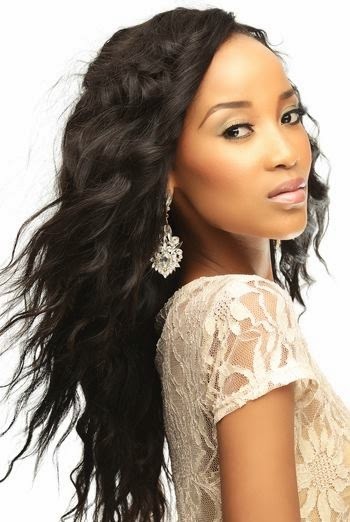 She also has previous Miss SA experience, so she'll know what to do to impress the judges. I could see her in the top 5 for sure. The reason why I'm placing her just outside of the top 5 is because of her lack of height. I get glimpses of Nicole Flint when I look at this photo. Anzel is such a natural beauty and she has an amazing body. I love her gorgeous eyes and she's also really intelligent and charming. I am hoping to see her in the top 5. I love this girl! She's tall, gorgeous and fresh. She could do well at both Miss Universe and Miss World. 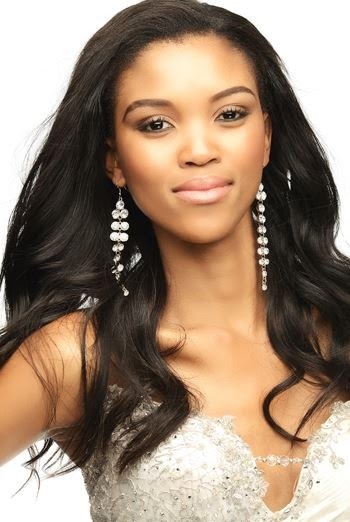 Now here's the thing: I still think she needs a bit more time and I have already crowned her Miss SA 2016 in my mind. She can learn from this experience and I REALLY, REALLY want her to come back in 2016 and win it all. Confident! Fierce! Tall! Matlala is going to give the front-runners a run for their money. She commands attention and I think the judges will like her a lot. I would be delighted to see her in the top 3. I really wish we could have two winners this year!!! Or I wish Zipho entered last year... or next year! I'm so torn between Zipho and Rolene. 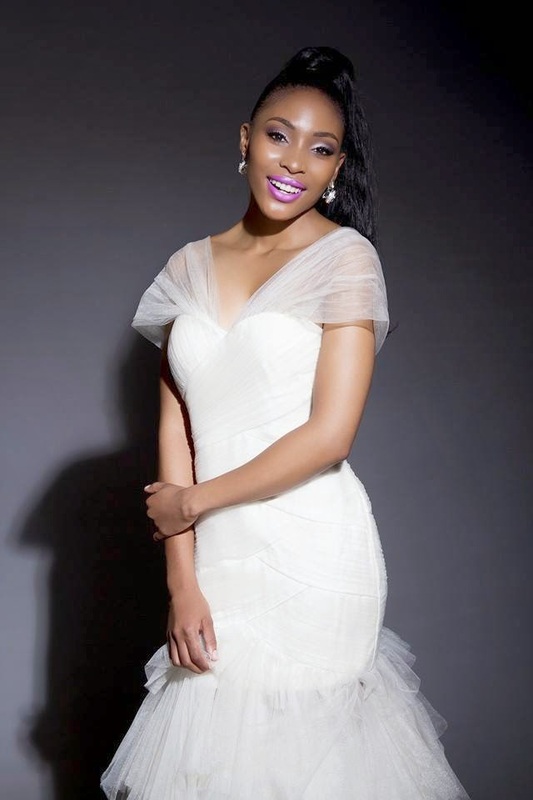 Zipho has everything it takes to win the Miss World crown. She is tall, gorgeous, well-spoken, and she was a professional singer, so she could ace the talent part of Miss World too. Ziphozakhe is very deserving of the title and if she wins, I'd be delighted for her and support her all the way. It's really too bad that we need to choose just one winner this year. It's almost heartbreaking to have to choose between her and Rolene. I really adore them both! Rolene is absolutely gorgeous!!! She was stunning when she competed in 2011 at the age of 19 (and did amazingly well to reach the top 5 at such a young age) but now she's reached her peak. She's so well-prepared and ready that she could walk straight from the Miss SA stage right onto the Miss Universe stage and win that crown for South Africa. It was a tough choice between Zipho and Rolene but in the end it came down to something that I really admire about her. She worked really hard after her stint back in 2011 to improve on all her "weaknesses", like confidence, communication skills and a more polished command of the English language, and she's come back a more mature, more confident, more well-spoken, better version of the young girl we met about 3 years ago. This will be her second shot at the crown and I strongly believe she won't be back for a third try. Rolene Strauss deserves to be Miss South Africa because she's gorgeous, classy, intelligent, sweet, sincere, determined, hard-working and willing to grown and learn to continuously strive to be a better version of an already wonderful person. I think Ziphozake will win. She is spontaneous, bright and real, I think she will deliver on final night when others faulter under pressure. i dont see the hype about Zipho, i think Matlala is way prettier. i dont do pagent patty girls and both her and Caylene are pagent patty girls to me.